Our behavior impacts the way children and youth see themselves and this world. 2 to 4% of youth will develop a gambling problem compared to 1 to 3% of adults. Early exposure to highly addictive chemicals or behaviors increase the risk of developing addiction. Children and youth don't yet have the understanding that the probability of winning is very low, so if they do win they are more likely to attribute it to an easy way of making money. Children and youth are more technologically savvy and are able to find ways to gamble that adults might not even consider available to them. A father goes on a cruise ship vacation with his 16 year old son and in the casino on-board teaches his son how to play Texas hold'em. They enjoy their time together. When they get home the son decides to try his hand at free on-line poker, where he wins and builds his gambling confidence. He then tries out games with peers and eventually adults. His grades start to decline, he is now more interested in spending time perfecting his game than attending school. He ends up loosing so much money he is so afraid of the consequences he takes money from his parent's wallet and purse to pay the debt, gets caught, and loses his family's trust. Neither of these family members intended any harm by exposing these young people to gambling. Do you want to live with knowing you may have helped bring on such problems? You can help prevent gambling problems in children and youth. * Role model the type of behavior you want to see from the children and youth in your life. * Have an honest conversation with children and youth and tell them the harm that can come from addictive behaviors including gambling. * Tell them about people you know who have developed a gambling problem and the devastation they have had to experience. For example, divorce, loss of property, foreclosure, bankruptcy, loss of retirement accounts, loss of trust, loss of friends, failing school. * Teach them the importance of self care. For example, eating well, exercising, positive self talk, spending time with friends, having a spiritual life, getting enough sleep, doing fun things that are safe and create positive consequences! * Talk with children and youth about having hopes and dreams for the future. Encourage them to think about and learn more about what they are interested in, this can give them an optimistic approach to life and help discourage “get rich quick” ideas. * Keep the children and youth in your life accountable for their behavior. Have them pay any debts themselves, keep the computer where it is easily visible by all family members at all times. * Know where your children and youth are and what they are doing when they are not with you. * Most importantly be available to them, if children and/or youth are struggling they need someone to turn to, they need someone they can trust who will be nonjudgmental and just listen rather than trying to solve their problem for them. Get professional help if necessary, the above may not have been provided for you when you were growing up, for that reason it may not come naturally for you. There is help available to teach you these skills so you can be there for the children and youth in your life to prevent gambling and other addictions from taking away our future. · Has the youth in your life spent more and more money gambling? · Has the youth in your life ever lied to anyone about gambling or concealed gambling? · Has the youth in your life gambled even to the detriment of relationships or school work? · Has the youth in your life used gambling as a way to deal with problems or to change his or her mood? · Has the youth in your life ever borrowed money in order to gamble? If you answered yes to even one of the above questions you are entitled to receive a no charge gambling evaluation. Ongoing gambling treatment is also offered at significantly reduced fee. Individual and group counseling is available for gamblers and their family members. 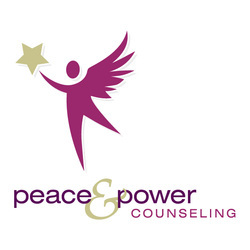 If a gambler is receiving counseling at Peace and Power Counseling then a family member or friend can receive services at no charge. We can guide and support you in your recovery from your or a loved one's gambling addiction. Toll Free 24 hour crisis number for Nebraska residents in crisis because of their own or someone elses gambling. Call 402-515-7412 to speak with a therapist 24 hours a day!